Consider this a PSA of sorts, people! 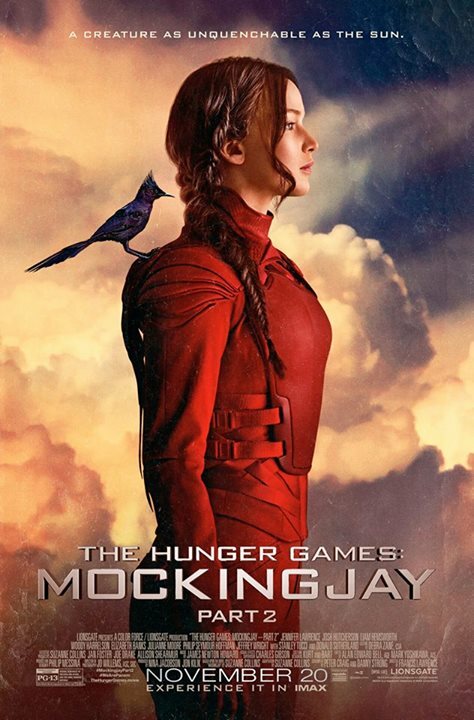 There’s a new Hunger Games: Mockingjay Part 2 trailer and poster! Watch! Observe! PREPARE YOURSELVES FOR THE IMPENDING BREAKDOWN ON VICTOR’S VILLAGE! Right now, the real world beckons. But we’ll discuss this all as soon as possible. The effects! The possible spoilers! The Photoshop! That WTF tagline! Charlie Brown connections!